OUR MISSION – VISION – VALUES – Καραντινός Α.Ε. 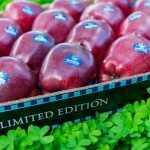 To prove our worth as the best Greek distributor of fresh fruits and vegetables that will be the strategic partner of first choice. Provide top quality products of land in fair price to all partners and customers. Our values define the way we try and work with our customers, suppliers and people. By visiting our website you agree that we are using cookies to ensure you to get the best experience. More info εδώ.